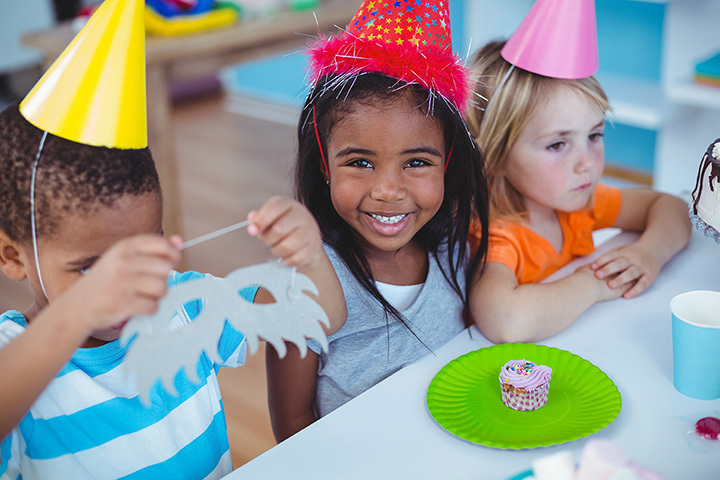 Your youngest family members have a big birthday coming up, so how can you do something different this year for the party? In Nevada, you’ll find a plethora of options ranging from educational fun to trampoline parks that will keep the kids bouncing all day long. Here are the 10 best venues for a kid’s birthday celebration in the Silver State! For kids and teens with energy to spare, this is the place to go. They will spend hours running, jumping, flipping and playing. You do need to make reservations sooner rather than later as space is limited. The staff is very involved and safety is key. Do you have a budding comic and even a magician? This is the place to go then! They offer fun custom shows for the special guests that are part child-friendly comedy and some pretty amazing magic tricks. They can even add in things like face painting and more interactive events for younger kids. A great option for hotter summer months with pre-school aged party animals. This well-controlled playground environment offers the kids a place to run and parents the peace of mind to know everyone will stay cool and safe within the kid-friendly soft playground. Their “Princess Parties” are among their most popular. Roller skating parties are a fun and kind of retro way to celebrate a birthday. This rink will remind mom and dad of all those skating parties they attended as kids while keeping the kids busy skating to the music. The parties are fun for kids from per-schoolers and up. Ever dreamed of spending the night in the dinosaur exhibit? Here is your chance with a one of a kind sleep over in a real museum! You can also rent our the entire museum for 100 of your closest friends and have a great time exploring things from behind the scenes. This is hands-on, toddler fun at its best. Imagine an endless supply of blocks, building toys, gym equipment without any of the clean up. For the smallest member of the family, this is paradise. A perfect location for youngsters to play the day away celebrating with friends. This is the largest outdoor mini-golf course in Nevada. They have some fun and even a bit quirky outdoor obstacles that appeal to the whole family. Whether you have little ones or tweens, it is an easy party to make age appropriate. This is a great spot for summer birthdays when it is just too hot to be outside. The structures are made to be safe for a wide range of ages and parents enjoy the climate control. This safe, soft and fun play ground lends itself to hours and hours of fun. This is a favorite for locals to celebrate fall birthdays at the famous pumpkin patch. They offer some great activities that include pony rides and farm related games. They are known for being very accommodating and ready to personalize for all your event needs. This is a fun place to take your budding scientist or older kids. The shows are pretty neat and the fact that you can arrange a private show is impressive. This is not just a birthday party but also a true experience.